Where does one begin? How does one classify such an ambitious undertaking? Generations crosses the genres in an unprecedented manner to the extent that it's undefinable. Undefinable, and compelling. Where will it go next? As ambitious a work as I've heard from any of the composers who go in for this form of cross-fertilisation. Landrus, needless to say, is at the core of things. The Jeru Concerto displays his undouubted virtuosity on baritone sax. A four movement composition dedicated to his son who, when Landrus first began writing the piece, had yet to be born. It was also inspired by another giant of the baritone - Gerry Jeru Mulligan. In between the first and second movements, there is an interlude where the composer really cuts loose with an unaccompanied solo that is, for want of a better word, breathtaking! From the personnel listed below, it will be noted that there were a lot of other big hitters on the date. Joe Locke, recently in Ambleside, adds some tasty vibes and there's also some nice trumpet solos (Alessi?) but, apart from the leader, this isn't really about soloists, effective as they are. This is about writing, composing, arranging. Incorporating strings, adding a harpist, two bassists, two drummers to create what may, in years to come (or even sooner), be seen as a defining moment in the development of the jazz orchestra. 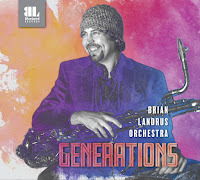 Currently available on BlueLand Records, it's well worth checking out if you like your big band music to be original, contemporary and imaginative. Jamie Baum, Tom Christensen, Darryl Harper, Michael Rabinowitz, Alden Banta and Brian Landrus (reeds); Debbie Schmidt, Ralph Alessi, Igmar Thomas, Alan Ferber and Marcus Rojas (brass); Brandee Younger (harp); Sara Caswell, Mark Feldman, Joyce Hammann, Meg Okura, Lois Martin, Nora Krohn, Jody Redhage and Maria Jeffers (strings); Joe Locke (vibes); Jay Anderson and Lonnie Plaxico (basses); Billy Hart and Justin Brown (drums); JC Sanford (conductor). 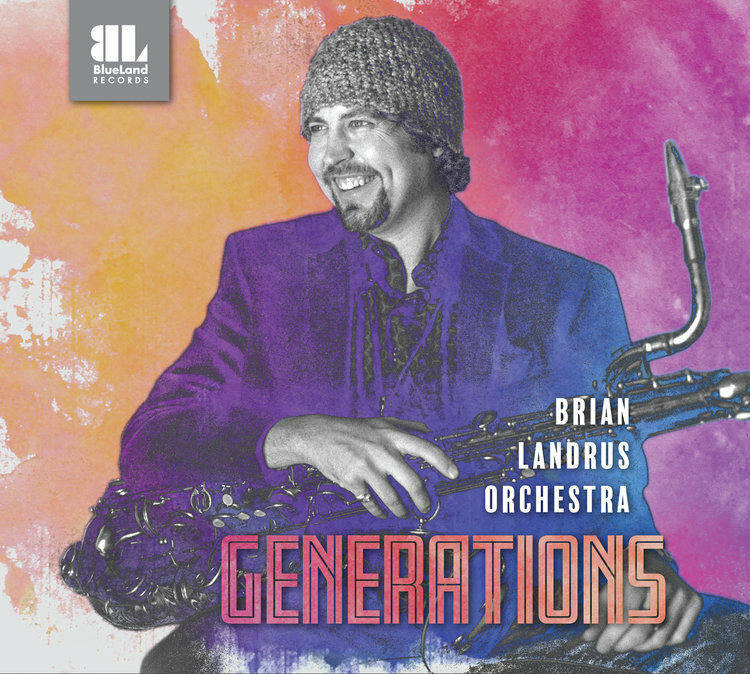 Landrus co-produced the album with fellow composers Robert Livingston Aldridge and Frank Carlberg. 1 – 5: Jeru Concerto; 6: Orchids; 7: The Warrior; 8: Arrow in the Night; 9: Arise; 10: Human Nature; 11: Ruby; 12: Every Time I Dream. CD Review: Pericopes + 1 - Legacy. All Aboard the Durham Music Service Jazz Express! Mike had a sense of humour! World Peace Day - Today! CD Review: The Brass Funkeys - Rabble Rouser. CD Review: Enrico Pieranunzi Trio - Yesterdays. Jazz Café October, 2017, Press Release. Change of policy at Hoochie. Berlin Jazz Quartet on tour!